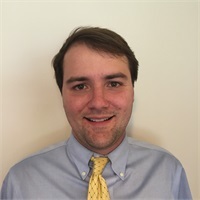 David Satterwhite | Consolidated Planning, Inc.
After graduating from the University of Chapel Hill, David joined Consolidated Planning in the summer of 2015 because of his strong desire to help individuals, families, and business owners become more financially balanced and secure. David takes his clients through a holistic process that helps them coordinate each of their financial decisions rather than looking at each aspect of their financial world separately. David places an emphasis on helping his clients achieve both personal and professional goals and firmly believes that the relationships are more important than the numbers. He currently holds his Life & Health licenses as well as his Series 7 Registration. David, a Winston Salem native, married his high school sweetheart, Susannah, and moved back to Winston to be close to family. They are active members are First Presbyterian Church and love being involved with the church youth ministries. David spends his time playing basketball, cheering on the Carolina Panthers, and wishing his golf game would improve.